58 Mount Road, Bexleyheath, on 29 March 1965. 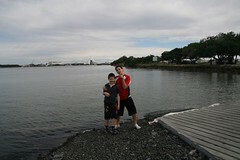 The day we left the UK for Australia. Bruce Ennis (Dad), Sylvia (Mum), Karen and Neil (me). Harold and Anna (Grandpa and Gran) in the background. The house is next door to a pub called the “Polly Clean Stairs”. Liz and I visited here in 1997. Unfortunately no one was home. But at least I can vouch that the place exists! As a matter of interest, it was spring the day we left – as you can see from the buds on the trees. When we arrived in Australia in early May it was late Autumn. So we experienced summer in England mid 1964, and didn’t have summer again till the end of 1965 in Brisbane. That’s a long time between summers. On his travels in the merchant navy Bruce had been to many countries one of which was Australia. He had really only seen it through the eyes of a traveller. He was sure it would be a great place to live. At the time we were living in Bexleyheath in Kent in a small house the rent was 8.00 pounds. That was a lot of money in those days; he only earned 16.00 pounds working at a dairy delivering milk. We decided to apply to immigrate to Australia, our application was successful. We left for Australia on the 29thMarch 1965. Having said that, in sounds so simple. Looking back to that time it was heart wrenching. I had never been anywhere before, Scotland was the only other place I had ever travelled to. Leaving all our families was very frightening; also I was already 5 months pregnant with our third child. This was a chance to start a new life and we would never know if we didn’t give it a go. So off we went not really knowing what was in store for us. Ten pound Poms! 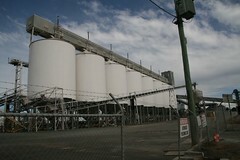 We drove out to the Grain Terminal at Pinkenba today. It’s not very picturesque. 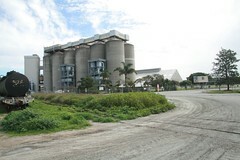 A bunch of silos at the mouth of the Brisbane River. 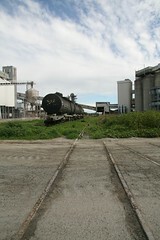 There’s a strong smell of rotting grain, and muddy puddles everywhere. But what’s important about it to me, is that it’s on this spot on 1 May 1965 that we arrived in Brisbane from the UK aboard Ellinis. You wouldn’t think that thousands of migrants to Australia would have come ashore here. 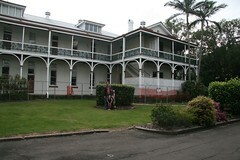 But this is where the Australian history of our family began, so it’s something special to me. On that day in 1965, we sat around on the wharf for a few hours waiting for a bus. Although the ship arrived at about 9am, the bus didn’t come to get us till mid afternoon. Not a very pleasant introduction to Brisbane. I don’t know if you’ve ever been to Pinkenba. There’s nothing very pretty about the place. 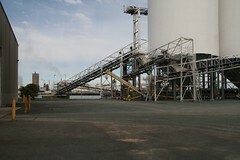 It’s just silos, fuel storage tanks, wharves and the oil refinery. The roads are muddy when wet and dusty when dry. I’m sure many a new arrival thought to himself or herself “what the hell have I got myself into here!!!”. The bus drove us down Kingsford Smith Drive to Yungaba. It’s about a 30 minute drive. 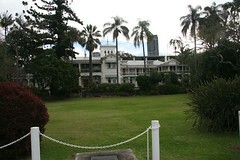 I’ve read in other places that they used to have a welcoming committee on the front lawn with tables set laid out with tea and cakes for the new arrivals. I don’t know if they laid it on for us, but the place is quite picturesque. This beautiful mansion is tucked under the Story Bridge. 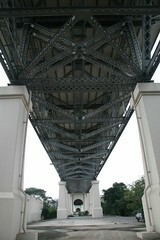 The bridge’s imposing form intrudes on the place from every angle. You can’t escape the noise of cars passing overhead. To get in and out of Yungaba you have to enter via a driveway that passes under the bridge. And to get anywhere else, you either have to drive over the bridge, or negotiate traffic coming off the bridge. We stayed here 10 days in 1965. During that time, my sister was quite ill, and stayed in hospital a few days. After a week and a half of sleeping in the dormitories at Yungaba, we caught a taxi out to Wacol Migrant hostel, and stayed in a Nissen Hut for a few weeks before finally being moved to a wooden relic from World War Two – our new home for the next 10 months. When I think of all this now, I have a new admiration for my Mum and Dad. Coming to a new country, with no money, not knowing anyone, with two young kids, and one on the way. What a remarkable testimony to them that they made a success of it. Liz indulged me for a while yesterday and patiently looked after the kids while I dug through some newspaper archives in the Qld State Library at Southbank. 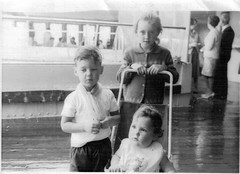 I arrived by ship in Brisbane in May 1965 with my Mum, Dad and Sister. We were “Ten Pound Poms”. 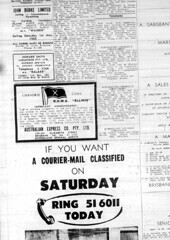 A couple of days before Ellinis arrived in Brisbane, the local shipping agent posted a notice in the city’s daily newspaper. The ship was due to arrive on 1 May 1965 – the Saturday of the Labor Day Long Weekend. The port was very congested according to this ad. 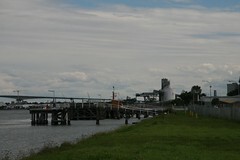 Mum and Dad tell me that they eventually berthed at a “Wheat Wharf”, which I’m guessing was the old grain wharf at Pinkenba — on the northside of the river, out near Eagle Farm airport. 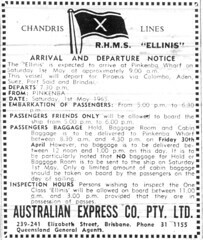 According to the other notice, Ellinis arrived at 9am on Saturday 1 May 1965. It was the Labor Day long weekend, and in those days, Brisbane shut down for the three days. No shops were open, and most public services were operating at a minimum. Dad says there were lots of people at the wharf waiting to greet friends and family arriving on Ellinis. They all waved from the shore as they recognized their loved ones on board. Dad waved back, pretending he recognized someone on the shore who was supposed to be greeting us. No one was there. We were all alone in a new country. Mum was heavily pregnant with my brother Kevin, with my sister, who had just turned 1 year old, and me, who had just turned three. We were bussed to “Yungaba” – a temporary migrant hostel under the Story Bridge, and put into large dormitories. Women and kids in one dorm, men in the other. That night, laying in a strange dormitory full of unfamiliar people, we could hear the “thud, thud, thud” of cars driving over the bridge above us. I’ve got a few other photos which I’ll try and dig up and post here soon. 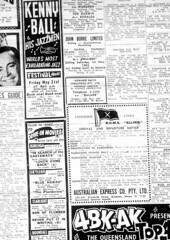 If you’re interested, I’ve included more details from the page of the Courier Mail that each ad was on, so you can get an idea of what was happening in town at the time. It’s a bit boring – the ad was in the “Classified Ads” section, which doesn’t really make for riveting reading! Incidentally, can you see that ad for radio station 4BK on the second page? That radio station is now known as “B105”. But in 1965, they didn’t have FM radio, so they broadcast on the AM Band. There are many online resources that can help you find more info about your Ten Pound Pom history. If you have any, please let me know and I’ll add them to the list. The National Archives of Australia has a comprehensive Record Search facility that lets you query details of anyone who arrived in Australia as a Ten Pound Pom. Retrieve info such as the name of the ship, the date of departure and arrival, other passengers on the ship. 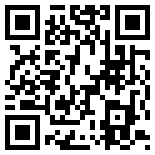 You can even order a digital copy of all documents related to your journey. The ABC has published a DVD entitled “Ten Pound Poms” which “tells the story of nine Britons who took the gamble of migrating to Australia in the post war years”. PictureAustralia.org by The National Library of Australia is a compilation of historical photos, maps, documents and works of art. Members of the cruising community at CruiseCritic.com discuss their Ten Pound Pom heritage. Wolfram Dallwitz has collated some wonderful pictures of RHMS Ellinis. 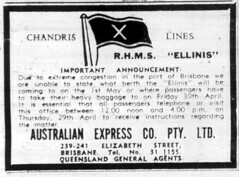 Ellinis was just one of many ships that brought migrants to Australia. Fred Feddes writes about his migration experience and round the word journey by ship aboard RHMS Ellinis. Theo Kroon writes about his journey from Amsterdam to Wellington NZ in in 1956. 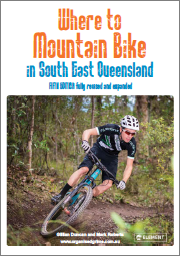 Tom Boelen writes about his journey by sea from The Hague to Brisbane Australia. Harold Weis writes about a fire at sea aboard Skaubryn. Harold Woering remembers his sea voyage from Rotterdam to New York in 1956. 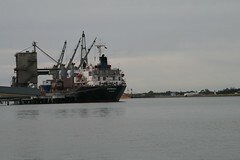 Piet Mulder’s journey to Melbourne aboard Sitmar’s SS Fairsky. 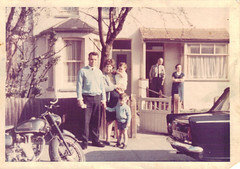 I originally created http://TenPoundPoms.com as a resource to share my family’s migration experience in the 1960’s. This history is important to me. I want my kids to know how we got here. Understanding this gives me a better idea of who we are today. By exploring my own history, I also discovered that many other people had a similar experience. There are millions of “Ten Pound Poms” and their descendants throughout the world today. So I’ve decided to expand this site to help other people get in touch with their Ten Pound Pom history.